Basically, a router determines the fastest way possible, which is also usually the shortest way possible, in a particular network. 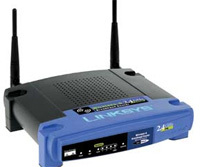 It has the capability to route the packets through the most effective determined route. Routers have the ability to allow hosts that aren’t practically on the same logical network, to be able to communicate with each other. Every router can receive chunks of data, which are called packets, on an interface. It will then forward the data packets to the intended location in the most efficient manner. The directing, or routing, of packets is based on the routing table, by allowing routers to know where a particular network is found. Aside from being a device, a router can be software in a computer. Routers should be, at least, connected to two networks. It is sort of a gateway to another network. Functionally, it is capable of generating traffic between logically separated networks. The third layer, which is the network layer of the OSI model, is where routers operate. Understanding the OSI model is the key to figuring out differences between routers, gateways and bridges. The network layer is responsible for moving packets from a particular port to another. It is based on addresses (L3) such as, IPv4, IPv6, and IPX, or Appletalk, addresses. A bridge, or network bridge, is a device that can also connect networks, but unlike a router, its operation does not include the network layer of the OSI model. Only the one and two layers are included in a bridge’s operation – the physical layer and the data link layer respectively. It can only connect existing networks that you can access. It is basically not concerned with, and is unable to distinguish networks, unlike a router. They can only be used when you intend to connect networks of same type. In bridging mode, the process does not bother to understand network communications protocol, such as IP addresses. It only recognizes and considers the physical means, like the Media Access Control (MAC) address, which is usually an Ethernet. Thus, traffic will only exist in a bridged network if the networks concerned are logically the same. In terms of practicality, routers are more favored, because routing is more efficient and offers easier call management. Bridging is required for cases where you cannot ‘subnet’ an IP network, and for cases where you need to utilize non-routable protocols, like DECnet or NetBIOS. A router, or routing, is considered more intelligent than a bridge, or bridging, because they make smarter decisions. It only sends a packet to its intended destination, eliminating unnecessary traffic. With regards to routers, there is improved call management, while for bridging, call management and performance is sacrificed, as packets are automatically broadcasted to all the computers on a network. 1. Routers are more intelligent than bridges. 2. Routers allow hosts that aren’t practically on the same logical network to be able to communicate with each other, while bridges can only connect networks that are logically the same. 3. Routers operate at the layer 3 (network layer) of the OSI model, while bridges are only at the layer 2 (Data link layer). 4. Routers understand and consider IP and IPX addresses, while bridges do not, and instead they recognize MAC addresses. 5. Routing is more efficient, and has better call management, than bridging. Ian. "Difference Between Router and Bridge." DifferenceBetween.net. May 19, 2011 < http://www.differencebetween.net/technology/difference-between-router-and-bridge/ >. i liked the differrences vey much. i thanks u a lot. hey pooja satisfied…!!!! :D:D wow..with whom dear??? ?pls reply.. These differences are very much helpful in distinguishing between router and bridge….Thankss a lot. i m satisfy with ur info. this is to much helpfull …..!!! SO I KNOW VHAT TO BUY NEXT TIME AS WELL. Thanks guys this was helpful.i am setting up a wireless network so trying to do it the right way. I’m not really experienced in that field so the help is really a blessing. Thanks for the clarification, particularly for giving me a hint toward the preferred approach if both are possible. memes are great, beams melt, and beans grow. when you setup a wireless bridge do you have to connect anything to the rj45 port? if I setup a wireless bridge can I connect a second router to the bridge rj45 port? Does the second location wireless device just broadcast to the wireless bridge and it broadcast to the wireless router? If the second router could be connected to the wireless bridge can it have a different IP or must it be the same so the whole network can access that device?